← What’s Transition Towns All About? On Sunday, 1st July the Guildford Kitchen Gardeners met at Marmalade Cottage to learn about keeping chickens. This was an inspiring and informative afternoon, which will hopefully have given some of our members the knowledge to go ahead and adopt some feathery friends with confidence. Elizabeth spoke about the basics of chicken-keeping – housing and feeding them, and the many benefits of having chickens. She also discussed adoption of battery farm hens: where to get them, how they differ from ordinary hens, and how to help them adapt to their new life. 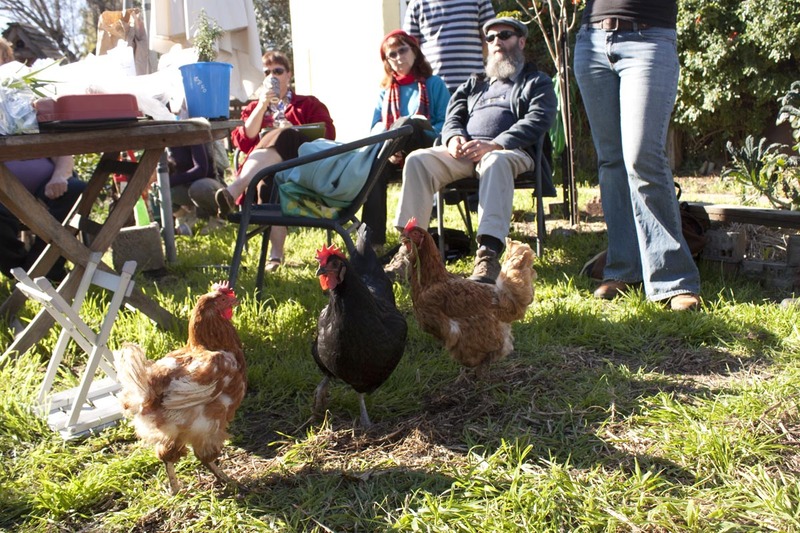 Guests had a chance to see the recovering battery hens in their backyard home. The Kitchen Gardeners hope to stage a mass rescue of battery hens in the near future, if you are interested in being a part of this then please email guildfordkitchengardeners@gmail.com. 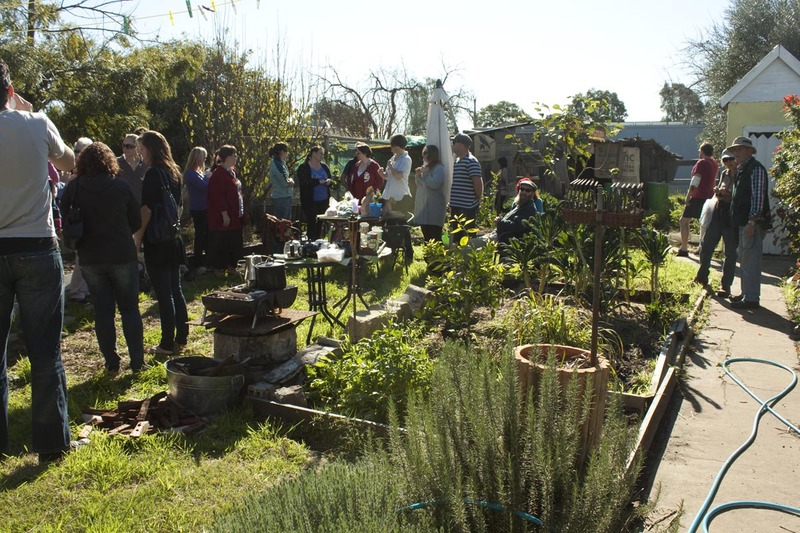 Steve spoke about the chicken run which he built from recycled and repurposed materials, and explained how with a bit of creativity anyone can create a home for chooks in the garden – it doesn’t need to cost a lot of money! Barb discussed some common health problems which chooks can suffer from and how to treat them, where to buy chooks and how to decide on the breed that’s right for you. If you are interested in finding out more about chickens, you may consider going to the Midland Junction Poultry Society Annual Championship Show – this will be held at Claremont Showgrounds on the 4th and 5th of August 2012. A variety of purebred chickens will be on display and there will be many opportunities to talk to the chook experts and purchase chooks. The next meeting will be on Sunday 5th August, and we will be learning about beekeeping! Email guildfordkitchengardeners@gmail.com for more information. This entry was posted in Event, Food and tagged Chickens, Eggs, Kitchen Gardeners. Bookmark the permalink.